NEW BRITAIN - Community leaders met at the Community Health Center on Monday to discuss the crisis in Puerto Rico and how to prepare for the expected influx of people displaced by Hurricane Maria. The meeting featured representatives of city government, United Way, the Human Resources Agency of New Britain, Community Mental Health Affiliates, the New Britain YWCA and the Community Foundation of Greater New Britain. Francine Truglio, a nursing supervisor with the city’s Health Department, said she was on the conference call with the Department of Emergency Management and Homeland Security earlier Monday regarding the crisis in Puerto Rico. Truglio said Jet Blue airlines resumed flights to Puerto Rico last Friday and will have direct flights from Puerto Rico to Bradley International Airport in Windsor Locks every Monday and Friday. The state’s Red Cross has set up a welcome center at the airport for each flight. “What they’re doing is providing snacks, comfort kits and they’re giving information about FEMA (Federal Emergency Management Agency) eligibility,” Truglio said. In addition to New Britain officials, representatives from Manchester, Hartford and the Capitol Region Education Council were in on the conference call. Truglio said 26 students from Puerto Rico, Florida and the Virgin Islands have come to the school district as of Friday morning. In preparation for a larger influx, the school district has posted a survey on its website asking if families expected to have relatives from Puerto Rico come to the city - and if so, how many and for how long. “That survey has been up for three days and they’ve already had 3,000 hits on it,” Truglio said. The panel also discussed the importance of trauma relief for those coming from the island. Incerti said it’s important to get people the help they need after they’ve been through a potentially traumatic incident, even if they may not think they need it. “People are going to be needing help and support and care beyond getting their basic needs met,” Incerti said. 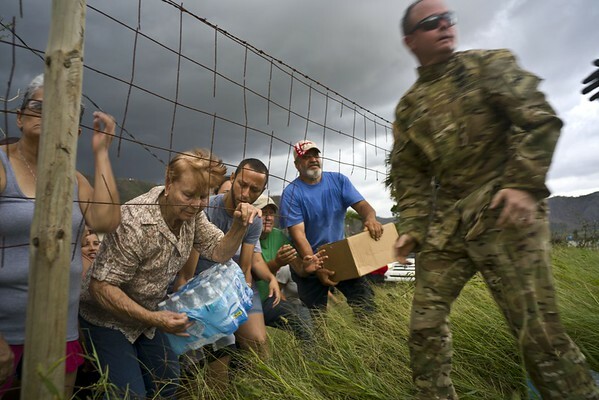 The community has been heavily involved in helping Puerto Rico since Hurricane Maria, with many organizations and groups organizing fundraisers and collections. The CFGNB and the American Savings Foundation, in collaboration with Mayor Erin Stewart, state Rep. Bobby Sanchez and Marlo Greppone of the HRA of New Britain, created the Hurricane Maria Puerto Rico Relief Fund in September. David Obedzinski, president of the CFGNB, said the fund has already topped $30,000. “I think it’s very important for us to continue to tell the stories,” Obedzinski said, imploring people to share the stories of their families and the efforts for Puerto Rico here at home. Posted in New Britain Herald, General News, New Britain on Monday, 16 October 2017 23:16. Updated: Monday, 16 October 2017 23:19.